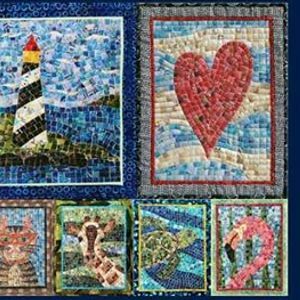 Imitate the ancient art of mosaics in this fun no-sew class inspired by Cheryl Lynch's trip to Israel. 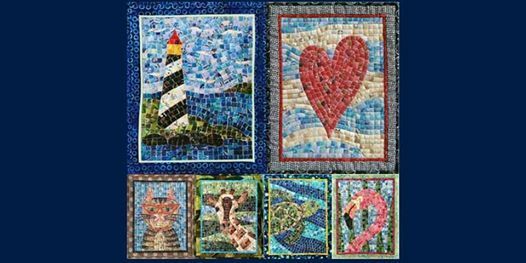 Learn to create a mosaic picture from small pre-cut pieces of many different colored fabrics using a technique Cheryl developed to simplify the process. 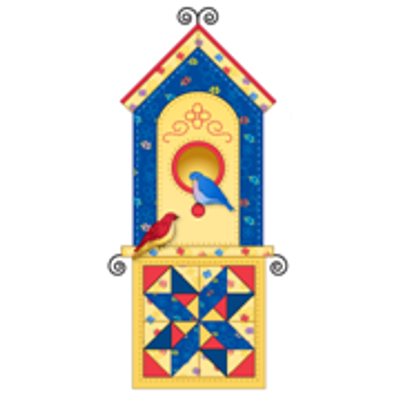 The mosaic itself measures 9 in x 12 in and can be bordered to your preference. This is a class for those who enjoy details, with a result that’s worth the effort. Make sure you bring your reading glasses!